Here are beautiful, simple, profound ideas that few people think about these days when they talk about the Catholic Church. Yet they are truths that make a positive difference in peoples’ lives. 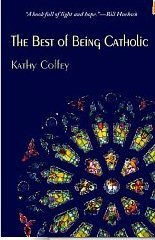 At a time when many Catholics have grown frustrated with their church, The Best of Being Catholic reminds them of the positive values and practices that they will never read about in the daily news.